The Pandora Professional is designed for customers that want the best and nothing less. 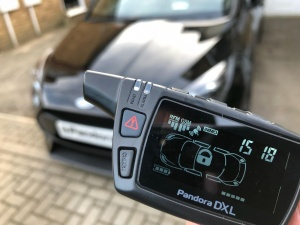 The Professional has a very detailed LCD remote with the full online service meaning your car can be tracked via a smartphone or desktop PC ( Subscription required ). 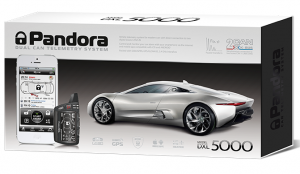 It has the ability to track the vehicle at anytime and offers all the features of the Pandora Light Pro. 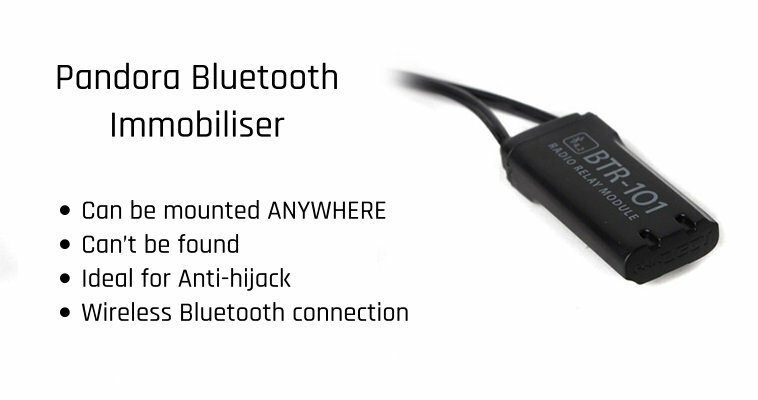 This system allows you to add the wireless immobiliser modules giving you ultimate security. The system can also be programmed to unlock your vehicle when walking towards it, giving you complete control over your vehicle. The Professional also offers you the ability to adjust every sensors via the LCD remote or your smartphone this even includes the proximity sensor. Online service allows monitoring, controlling, and adjusting parameters of your car using any computer or smartphone. This can be done via the Pandora online app for Apple or Android or your desktop PC. You can combine your car, alarm system and your smartphone. To monitor and control parameters of your car and the system, specialised free mobile apps (Android and iOS). These can be downloaded direct from your app store. Increases control range from radio relay distance to the whole worldwide cellular network coverage. Receive voice and text notifications about new alarming and service events occurring with your car. Comfortly control your car from anywhere. Pandora has coverage over 99% of the UK, giving you complete piece of mind knowing you will always be connected to your vehicle. Detects your car position, synchronizes time and date, allows for event history to save coordinates. Movements tracking function is available such as a Geo-fence. Allows for a significant increase in anti-theft defenses of the modern car by integrating security system with the original car electronics. System supports simultaneous connection to two data buses of following types: Lin, K-Line, K-Bus, P-Bus, W-Bus. This allows complete intergration into your vehicles data system giving a very sleek and effective installation. 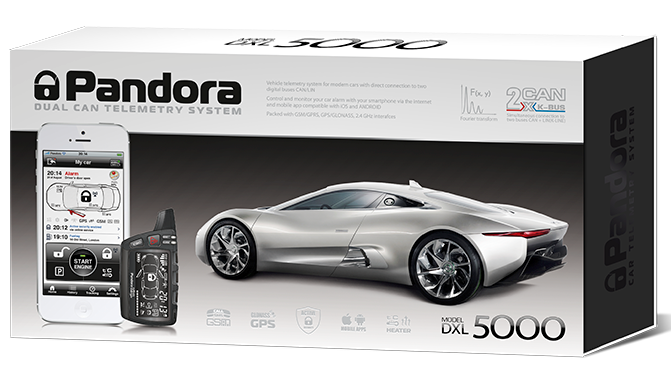 Pandora Professional works on all modern cars, power consumption meets the requirements of car manufacturers for supplementary equipment. Meaning this alarm is one of the most energy efficient devices on the market. Pandora allows you to keep your alarm active / armed for longer than many other market leading brands. If your life and health are in danger just press SOS button on the remote, or via the small RF aerial mounted on the top section of the window screen and system will send notifications to your family members. If you will happen to be in a car accident, the system will automatically detect it and will send notifications to your close ones, supplemented with your car’s current coordinates. Car accident will be stored as an event in the online infinite event history. When arming active security mode, online service will constantly control GSM connection and car’s coordinates. In case it will be getting towed away or the connection will be lost, the owner will instantly receive a notification. Giving complete piece of mind against roll away attempts. Pandora’s Handsfree locking allows you to Simply walk up to your car with the Pandora tag in your pocket. 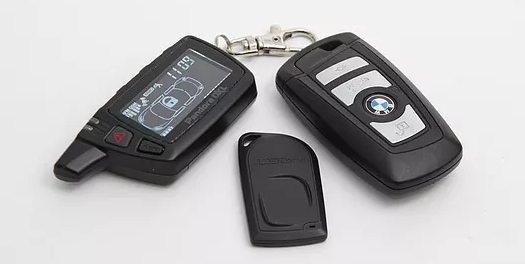 When the alarm systems detects the immobiliser tag, the vehicle will automatically unlock and disarm the Pandora system, completely handsfree. As you walk away, and the tag signal is lost, the alarm will arm, lock and secure the vehicle. No more fumbling around looking for your keys and pressing buttons! 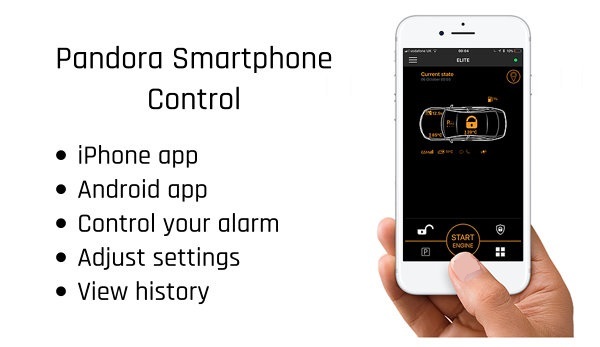 Adjustment Sensors can be simply adjusted using sliders in the Pandora specially designed smartphone app. Also lock unlock your car all from your Smartphone up to 20meters away. The Pandora Professional offers everything you could possibly want in a security package. The Professional is regarded as the most advanced alarm and tracking system in the world. We supply and fit the Pandora Professional in Essex and all local area’s such as…. 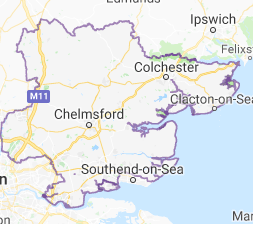 Basildon, Brentwood, Romford, Hornchurch, Barking, Dagenham, Ilford, Thurrock, South Ockenden, Billericay, Basildon, Grays, Southend, Southwoodham ferrers, Chelmsford.